*SCHEDULED TO BE IN STOCK AT THE END OF APRIL – our apologies for the delay! 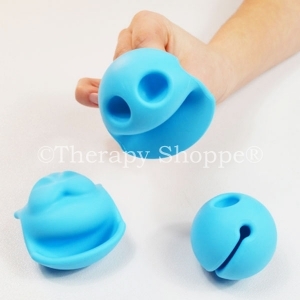 Fluxy Fidget Finger Strengthening Balls are a PHENOMENAL SENSORY TOOL and FIDGET FOR HAIR PULLERS! 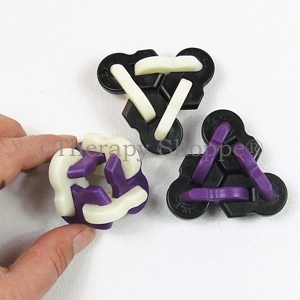 We're thrilled to announce our exclusive Fluxy FIdgets will be available again in April! Fluxy is a one-of-a-kind fiddle ball that provides lots of entertaining ways to keep your brain fired up, restless fingers busy, and fingers strong. 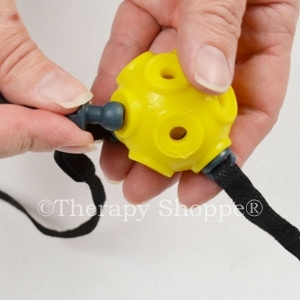 This rubbery 2-1/2" sensory fidget ball has 12 finger holes you can poke your fingers inside, and 3 texturey fabric tails you can pull out, plug back in, twirl, toss, or swing around using both hands. 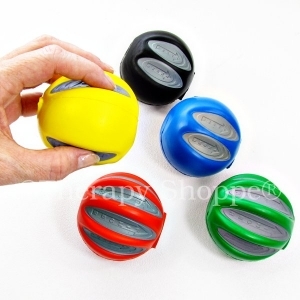 Fluxy Fidgets are a perfect pocket-sized fidget and stress buster office desk toy for older kids, teens, and adults. 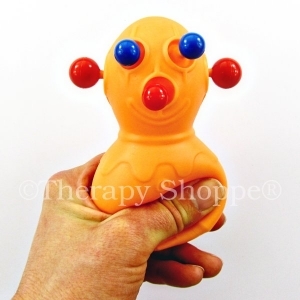 Manipulating and pulling the tails out provides a phenomenal finger workout (that is too difficult for most younger children) and provides that satisfying "tug" desired by many hair pullers and skin pickers. 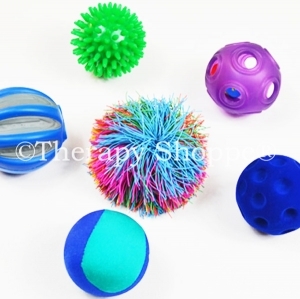 This wonderfully unique sensory ball is available exclusively from the Therapy Shoppe®!